[dropcap letter=”P”]erched at the very top of Mt. 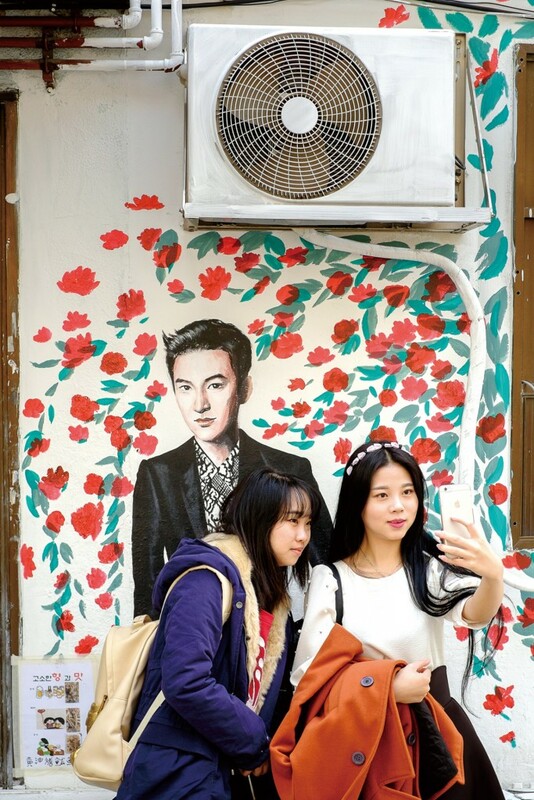 Naksan, Ihwa Mural Village is an unlikely attraction in an unlikely setting. Only a decade ago, the neighborhood was set for demolition to clear away what was considered an aging and unattractive slum to make way for new development. Today, it’s a lively and thriving neighborhood that welcomes artists and visitors while still preserving the charm and intimate bonds of its long-standing and tight-knit community. It’s a surprising success story, and not one without challenges, but the Mural Village illustrates the ability of art and human ties to bring new life to the city. 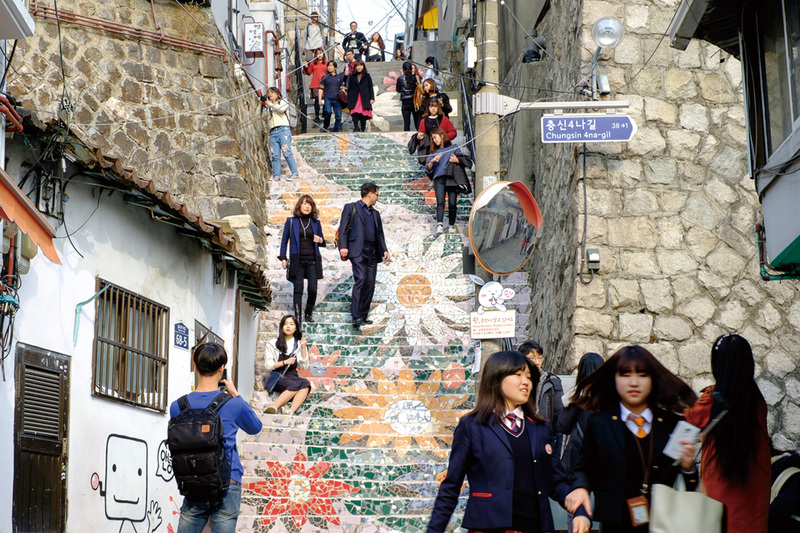 Ihwa Mural Village is located less than a 10-minute walk uphill from the buzzing Daehakno area. As you head up the slopes of Mt. Naksan, the noise and crowds give way to fresh air and gorgeous, expansive views of the city, but also to something unexpected: street art. Metal sculptures stand guard over the laneways while brightly painted murals hide behind every corner. Steep staircases come alive with colorful paintings and mosaics. Ihwa-dong defies its origins as a slum to embrace life, color and art while still reflecting the needs of its long-term residents. The most captivating pieces are found on Guldari-gil, which starts in the backstreets of Daehakno, behind Marronnier Park at Hyehwa Station (Exit 2), and snakes its way up the hillside to the lower edge of Naksan Park and into the village, finally turning into Yulgokro 19-gil. The narrow alleys showcase murals large and small, while sculptures dominate the road by the park. Maps direct visitors to the largest and most famous, but new paintings are always springing up. Many small museums, art centers and cafés have also opened, adding to the bohemian feel. Hardware designer and museum director Choi Hong-kyu operates no less than five of the dozen museums in the area, including the Lock Museum (T. 766-6494), the Ihwa-dong Village Museum, the Blacksmith Museum and the Gaeppul Museum, devoted to displaying wine openers. Visitors will also find a gallery just for enamelware, another devoted to patchwork sewing and the “Live Well Memorial” for remembering the teachers of a local school for the underprivileged. Naksan Park provides green space and yet more art, along with stunning views of Seoul and the ancient city walls. The historically minded can also visit Ihwajang (T. 762-3171), a beautiful hanok and home of former president Rhee Syngman. Cafés and a few adventurous bars also offer respite for the adventurous visitors who make the moderate climb up. Ihwa-dong has never been one of Seoul’s elite or powerful neighborhoods. Sitting against the old boundary walls of the capital, it is an unattractive place to plan large-scale development projects. When this was paired with the city’s rapidly increasing population in the first half of the 20th century and the desperate need for postwar housing, it meant that people built homes wherever they could. Residents of these “moon villages,” or daldongne – so called because their locations high in the hills gave the people there a better view of the night sky – were primarily working class and poor people who couldn’t afford housing in the more convenient, flat, or central parts of the city. Ihwa-dong in particular was home to many workers in the nearby garment and textile industries in Changsin-dong and the Dongdaemun area. The neighborhood stayed much the same even as rapid economic development in the ‘80s and ‘90s brought prosperity and high-rise apartment towers to other parts of the city. Finally, the area was slated for demolition and redevelopment, which would bring an end to both the area’s mid-century buildings and to the community that lived there. In 2006, the city of Seoul tried something new. Through the Art in City – Naksan Project, dozens of artists selected by a local committee were commissioned to create 64 different installations under the theme of “Mix, Connect and Get Together.” The plan to create a cultural space that would attract both foreign and domestic visitors was a success, and soon thousands of people were flocking up the mountainside to enjoy the new artistic ventures. Unfortunately, the change came a bit too quickly for a number of Ihwa-dong’s long-term residents. Littering, noise, graffiti and other bad behavior on the part of tourists left many grumbling that the neighborhood was better off back when it was still neglected. About a year after the project began, many of the murals, amounting to almost half the original art, was removed at the residents’ request. It wasn’t the end of the Mural Village, however. In 2013, artists again assembled to redecorate the area, adding another 60 displays and bringing the total number of works to well over a hundred. Along with professional artists, students from local institutions such as Kookmin, Konkuk, Chung-Ang, Dankook and Ewha Womans University all contributed works of their own. The display continues to evolve and expand its reach as more people join in the beautification efforts, lending a new sense of dynamism to the sleepy hillside village. EAT> Ihwa-dong Mural Village offers relatively few full-service restaurants, so the truly famished may be better off fortifying their stomachs in the Daehakno area, as food becomes scarcer the further up you go. Within the village itself, there are plenty of small cafés serving up coffee and tea, often for substantially less money than in other parts of Seoul. Among these, A-mong offers coffee, tea, dumplings and ice cream. On The Hill (T. 703-7044) serves coffee, roll cakes and homemade teas in a renovated house that offers one of the best views in the neighborhood. 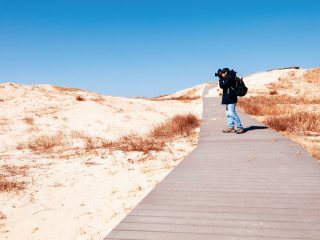 Hungry hikers can enjoy sandwiches, tea, coffee and a variety of makgeolli slush drinks and makgeolli-based baked goods at Gaemi Dabang (T. 3676-5995), or head down the hill to their other location, Dallyeora Gaemi (T. 762-5995), which offers a wider menu of traditional and fusion makgeolli, along with Western and Korean-style pub grub. Music lovers can wet their whistles and enjoy light drinking snacks while they relax to the smooth sounds of Jazz Story’s impressive LP collection (T. 725-6537). STAY> A few guesthouses have begun to open in the Mural Village, including Rose & Candy (T. 010-8828-3720), which offers basic but clean accommodations for those who want to stay in the village itself. For a taste of traditional Korea, try Eugene’s House (T. 741-3338), a hanok-style homestay only a few minutes away from Mt. Naksan and the buzzing Daehakno area. GO> From Hyehwa Station (Line 4), head straight out of Exit 2 towards Marronnier Park. Turn left at the park, past the Arco Arts Center and continuing until Dongsung-gil. Make a right turn onto Dongsung-gil and then a left onto Guldari-gil. Following Guldari-gil will take you up to Naksan Park, and continues on through the heart of Ihwa-dong Mural Village before turning into Yulgok-ro 19-gil, making its famous P-turn and running back down to the southern end of Daehakno. Look for signs pointing to Naksan Park and the Mural Village. 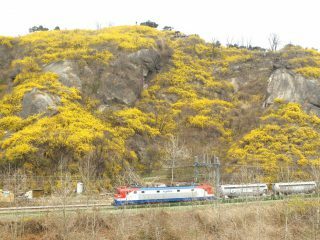 Alternatively, visitors can start by heading up Naksanseonggwak-gil from Dongdaemun until they reach the crest of the hill, then turn west and walk down through the village.